In 1971, the English department at SIUE hired a Victorian literature scholar named Theresa R. Love. She taught courses in her subject area, and eventually, by the 1980s, she was also teaching African American literature courses for the department. A year or two after arriving at SIUE in 2003, I began working on a research project that focused on National Security Advisor and then Secretary of State Condoleezza Rice. At some point, Linda Jaworski-Moiles, the long-time English department office administrator -- who possesses this wonderful, supernatural institutional memory -- informed me that the "R" in Theresa R. Love stood for "Rice," and that Love was in fact Condoleezza's aunt. Isabel Wilkerson: What did your family think as you became this highly specialized intellectual? Rice: It was fine. My aunt, my father's sister, has a Ph.D. in Victorian literature, so I'm hardly the oddest one in the family. She wrote a book on Dickens, for goodness' sake. My father was a divinity student, and my mother did esoteric work in music, so I was not considered an oddity. Rice was referring to Love's book Dickens and the Seven Deadly Sins. And given the numbers, a black woman Victorian scholar does seem "odd." Then again, before her time at SIUE, Love taught at Southern University, and black professors teaching Victorian literature at HBCUs is not uncommon, though I got Rice's point. 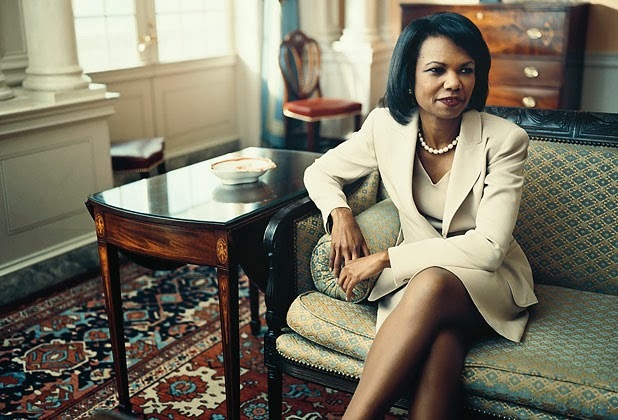 In her book Condoleezza Rice: A Memoir of My Extraordinary, Ordinary Family and Me (2010), Rice later wrote about Love, noting that her aunt became "one of the first black women to receive a doctorate in English literature from the University of Wisconsin." Consequently, Love was also one of the first black women, or better yet, one of the first people to regularly teach African American literature at SIUE. Her Victorian literature teaching line, in fact, morphed into a line for an African Americanist, a line which eventually paved the way for me to come here in 2003.